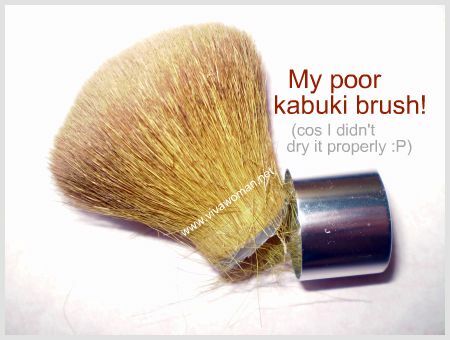 I don’t know about you but I hate to wash my kabuki brushes. The Lumiere synthetic one in particular takes an awful long time to dry and it’s also getting out of shape with frequent washing. I also hate the idea of leaving it out for so long in the open because it’ll inevitably collect dust over the days! In addition, I have a problem on the best position to air dry them. It’s troublesome to dry them upside down as I have to tie them with rubberbands so I tend to leave them flat or sometimes standing which is really bad for the brushes. Well, it looks like my headache is over because I now can air all my brushes upside down and yet not hurt their bristles using brush guards from The Brush Guard! 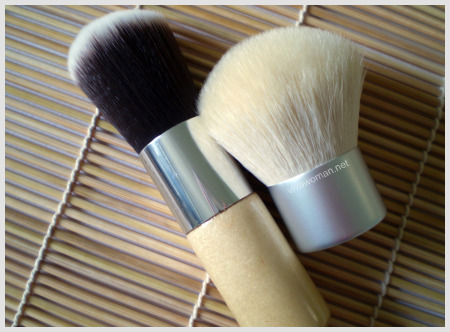 When Diane Baker of The Brush Guard contacted me to test out their products, I already felt that these would help me with my brush problem and I was right! Like Diane mentioned to me, one of the best uses of The Brush Guard is for drying brushes. “When brushes are dried flat, the water wicks back into the ferrule where it damages the glue, and makes the wood swell, which degrades the join.” Bah! I so wish I had these brush guards earlier to dry my chrome kabuki brush. I had to throw it away recently because the hair had all become detached from the ferrule because I was drying it improperly most of the time. The Brush Guards are stretchable, breathable tubes made of flexible sheaths which slip over the brush handle onto the bristles. There are little holes in the sheath so brushes will dry perfectly. More importantly, the brushes retain their shapes after drying. 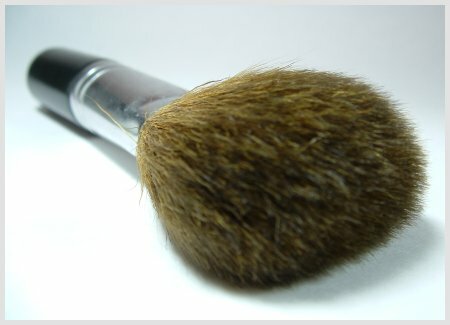 I tried it with my Lumiere hard-to-dry kabuki brush and it worked! The shape is back to almost brand new condition now! And I don’t have to worry about the hygiene factor so much now because one, they’re shield the brushes from collecting dust while drying and two, I can toss my brushes anywhere and not worry too much about contamination. 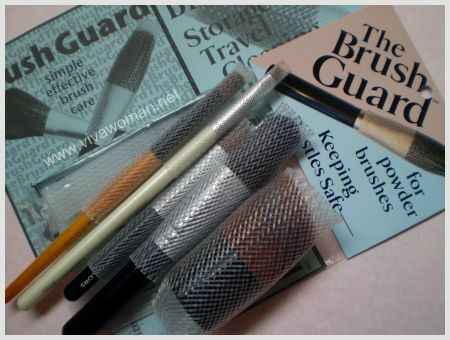 You can find Brush Guards Packages in five package choices – assorted or packages of all one size with 6 guards in a pack. I received the variety pack which contains an assortment of each size. All the sizes are good for brushes with long handles but it works for my short kabuki brush too! I use the largest size and it completely encased the kabuki, looking a bit like a seed pod as Diane had described it. One thing to note about using the Brush Guards is, you must always place your brush in them going in handle to bristle, and then going out the same way. Otherwise, you’re going to ruin the bristles. 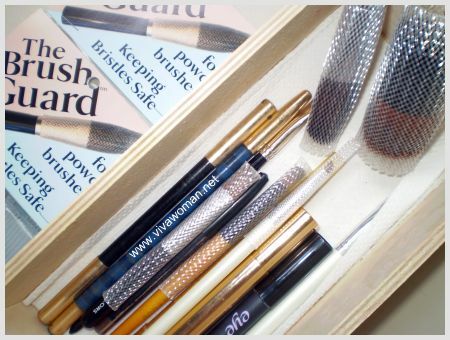 The Brush Guards are very affordable at US$5.50 per pack, including tax and domestic shipping in US. Additional shipping charges apply for orders from Canada ($2.00) and international ($3.00) up to five. Get it at thebrushguard.com. And you know what? Diane was very generous to send me two more variety packs and those will be given away as part of the Viva Woman Bejeweled Giveaway. So stay tune! Hey just wondering, how long did it take for your brush guard to arrive? I ordered mine almost two weeks ago, and I’ve still not gotten it yet. Tine: It was very fast. It arrived about a week later after Diane said she sent it out. So how many days/weeks did it take for you to get it after you order online? In about 2 weeks considering the shipping from US to Singapore. Florence: Yeah, it’s fantastic! I love it! Saw it on youtube. Such a cool invention! ParisB: From the picture, it does look like those foam nets. Actually, my first thoughts were those small bubble foam covers. Joey: According to most of the sources I read, once water seeps into the handle, it may cause damage. Drying them flat would still cause this problem, but if small brushes, it’s probably less damaging since they dry pretty quickly. It’s the big brushes that are troublesome cause they can soak up a lot of water which will inevitably seep into the handle even when lying flat. That’s why the best is to hang them upside down (can aid faster drying too). Hope I make sense here. I bought four packs and have used them all! This is really useful for maintaining brush shape. Mag: Wow, you must have a lot of brushes. 🙂 I do. 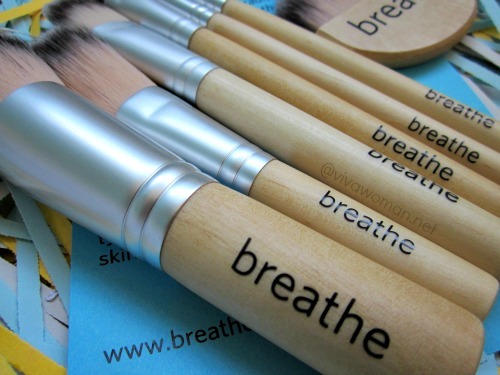 I used some of these for the brushes in my kit and some for the ones I seldom use…and still, I need more, lol! Mag: I know…we can never get enough of things that are useful! Hey, look out for my giveaways. I will include them in two of the giveaways so you might get to win more! thanks dearie! upside down means bristles downwards rite? Plue: It’s quite worth a trial! Dear, which size do your suggest for the 187: large or extra large? Where can I purchase this at? Is their a certain place? Check out the link in the entry. You can purchase direct with the store and they ship internationally. where can i buy one of these in the Philippines ? pls reply. You can only buy them online via the link I’ve provided.